If you are hoping to give your home a new look that will impress friends and neighbors while giving you a reason to enjoy coming home, consider hiring the professionals at Detail Exchange Interior Designs to help. 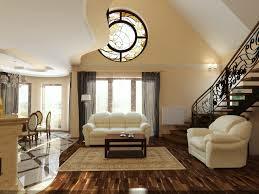 Our firm specializes in architectural interior design, rather than decorative design. The difference is that decorative design firms choose the right colors, fabrics, and furniture to make the existing structure look better. Architectural designers, however, work to make physical changes and create beautiful structures within the home, and the designers at Detail Exchange Interior Designs are among the best firms available to give your home the “ahh!” factor. Only your imagination limits what Detail Exchange Interior Designs can do for your home. Two common ways to enhance the interior architecture of your home are the upgrade of stairs, including the addition of rails and bannisters, and putting in new windows. Bay windows, and other types of architectural additions to windows, can increase the value of a home while also adding splendor to the existing frame of the home. The experts at Detail Exchange Interior Designs have an online portfolio available of these types of upgrades to give an idea of the work they can do. If you are looking for something more substantial and distinctive for your home, you still can turn to Detail Exchange Interior Designs for assistance. The highly-trained professional staff is able to walk through your home with you and give you interesting ideas for what could be done from adding in a recessed bar area to putting an abacus under the rail along your living room. These types of upgrades are more involved than typical design changes, but they really can help you transition your home from merely “lovely” to an eye-popping marvel. So don’t let traditional ideas about interior design limit changes to your home. Think big, and we’ll help make it a reality!